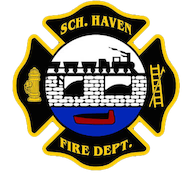 November 30, 2009- Soon after the Rainbow Hose left the previous accident on Route 61 at the Cressona Mall, they were asked to respond to 222 Dock Street, Schuylkill Haven Boro, for a carbon monoxide detector activation. The station was notified by the homeowner to go and “check out” the residence. Squad 726 responded to the scene and verified that it was just a faulty detector. Time out was 10 minutes. November 26, 2009- Soon after the Liberty Fire Company returned to station, and in the process of putting the trucks back together, an emergency call was placed into the station by a resident at 226 North Berne Street, Schuylkill Haven, about smoke detectors being activated and a smoke condition within the first floor of a house at 230 North Berne Street. Engine 737 hit the street and notified duty Chief 723 (Donatti) about the problem. Chief 723 and Engine 737 arrived on scene to find what appeared to be an unoccupied house. The crew gained entry via the backdoor, and found an unattended candle burned out on the first floor and the smoke alarm activated. The homeowner was home at the time and had lit the candle and fell asleep. The chief and the engine remained on scene for about 20 minutes. November 24, 2009- At 21:38 stations 1 & 2 were dispatched to the intersection of St. John and East Main Streets (Sch. Haven Boro) for a motor vehicle accident with unknown injuries. Schuylkill Haven Police and Chief 723 arrived on scene and advised County Comm Center that they could cancel all incoming fire apparatus and there was no injuries nor fluids down. Schuylkill Haven Fire Police remained on scene until the towing company arrived and were cleared in 30 minutes. October 2009, Engine 737 and Ladder 725 headed to Stoyer’s Dam for a few training exercises. November 23, 2009- At 16:19 stations 1 & 2 along with District 41 (Cressona) were dispatched to the area of 1544 Route 61 (Cressona Mall) for a motor vehicle accident with unknown injuries. Duty Chief 723 (Donatti) arrived on scene to find 2 vehicles involved with no injuries or fluids down. All units were on scene for under 10 minutes.